The Summer holiday celebrations are here. We just celebrated Summer Solstice with Atete ~ Ethiopian goddess of Coffee. The 4th of July is coming up, it is a huge family get together time, and a time to celebrate our country. A perfect time to spend in prayer to prepare ourselves for the various gatherings. And to put some good energy into our country & its borders, with the trials and tribulations that we are all experiencing. 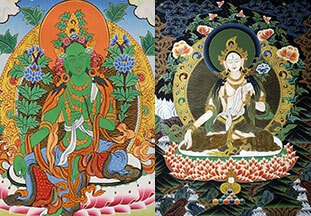 Tara, both Green Tara & White Tara, are highly honored and celebrated by the Tibetan peoples. White Tara is associated with compassion and long life, Green Tara is associated with enlightened activity and abundance. Both Tara’s are highly esteemed in the Buddhist tradition. 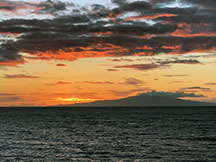 Saying mantras, we are not simply asking for Her blessings and help with our lives and our “real problems”. We are also asking to be liberated from the misery of our mental delusions and negative emotions that blind us to true freedom. We pray to achieve the same enlightened body, speech & mind that Tara represents, not only for our own benefit, but for the benefit of all beings. Come for an evening of prayer in the form of mantra. For this ritual please bring your Mala beads if you have them, and a candle of either green or white. Please see our participation page for more information on attending our ceremonies.